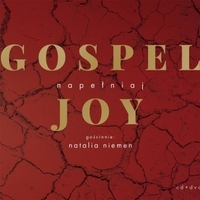 Poland's Album of the Year award was presented by the "Christian Music Community of Poland" to our very own Gospel Joy Choir for their latest album, "Fill My Cup" last week! Gospel Joy's victory comes over a record-breaking 40 artists entered the contest this year. ITMI's Andrew Gorski, Director of Gospel Joy Workshops and Evangelism says, "Today music and sports are probably the two most influential industries shaping our culture." The record-breaking number of entries would confirm this observation. The Gospel Joy Choir has been consistently and faithfully proclaiming the Gospel through song for twenty years. Using traditional Gospel music, the choir's message - that the Lord wants a relationship with His people, and that those who have one with Him experience great joy - has been revolutionary for Poland. Fill My Cup includes titles such as "Know Jesus," and "Adored My King." Most of the tracks are in Polish, but there are a few bonus tracks in English, including "Go Tell it on the Mountain." Gospel Joy Choir is the only Polish gospel choir that has performed in the USA and Canada, as well as at the prestigious Gospel Festival in Amsterdam. Andrew reflects, "We’re honored and in the same time humbled to receive this award and we pray God will use this music to reach the hearts of people of Poland!" The choir is more than a passing herald of Good News. Its performances drive sign ups for Gospel Joy's weekend workshops, where participants spend their weekend learning to sing Gospel music as part of a choir. The lyrics to every song are explained through the lens of the Gospel, and the weekend ends with a live concert for the participants' friends and family. Feedback from participants reveals they often make meaningful connections with Gospel Joy volunteers during the weekend, and many respond to the invitation to meet weekly to study the Bible and learn more about this relationship they've been offered. The lyrics to every song are explained through a Gospel lens at the weekend workshops. One of the weekly gatherings planted after Gospel Joy Workshops. Trained local leaders in Sroda Wielkopolska, Poland. Gospel Joy has trained Christian leaders in cities all around Poland to lead these weekly gatherings - essentially plant a house church - in their city! "By praying and supporting, you’re part of something God does in another part of the world," Andrew reminds supporters. And we underline Andrew's thanks. The movement Gospel Joy has spearheaded in Poland couldn't have happened without the sacrificial gifts from supporters like you.